Albert Åberg back in the tram stall! Albert Åberg never gives up is based on several of the Albert Åberg books. Here you can once again or for the very first time get acquainted with Gunilla Bergström's well-known Albert Åberg character. We take you on an ordinary day in little Albert's rich daily life. To the supermarket, to the jungle and to a helicopter ride with dad. There will be many exciting experiences with Skybert, Dad and more! Perhaps Albert encounters dangerous animals or other creepy creatures? Someone in reality and others in the imagination. What is certain is that Albert Åberg always manages the bras! Intimate concert with Finn Kalvik One of Norway's biggest singers over the years comes to Publicom Scene with a fantastic collection of songs that all of Norway has lived with since the 70s. Motorpsycho // Center Scene // Sold out! Motorpsychodelia! Motorpsycho has a 30th anniversary as a band in 2019, still as uncompromising, relevant, dominant - and indescribably good. Few, if any, Norwegian bands have such a smooth, comprehensive and ambitious discography as Motorpsycho. Each new plate is a troll in the box, and one looks forward to children on Christmas Eve to what is hidden behind the wrapping. Recently, the new album "The Crucible" came to great reviews. Both visually and musically, "The Crucible" starts where the previous album "The Tower" ended, but it quickly gets its own hue, and it is clear that this is not a pure sequel. Undoubtedly a Motorpsycho album, it will make the Psychonaut novices head spin, and at the same time feel just right alien to the connoisseurs. As usual, Motorpsycho falls proud of all the chairs, stools and cracks that come in their way. The Nebb festival is held for the third time on the 24th and 25th of May at the idyllic Nebbursvollen open-air swimming pool in Lillestrøm. Popquiz with Pål Thoresen Friday, May 24, 2019 Pål Thoresen and Christian Radich invite to pop quiz in the Oslo Fjord. Bring your quiz team, friends or just join a nice fjord tour with good friends. Pål Thoresen asks questions, makes good atmosphere on board. There will be great prizes for the winners. On fjord tours Christian Radich goes for motorbike, but you can sense some of the greatness. 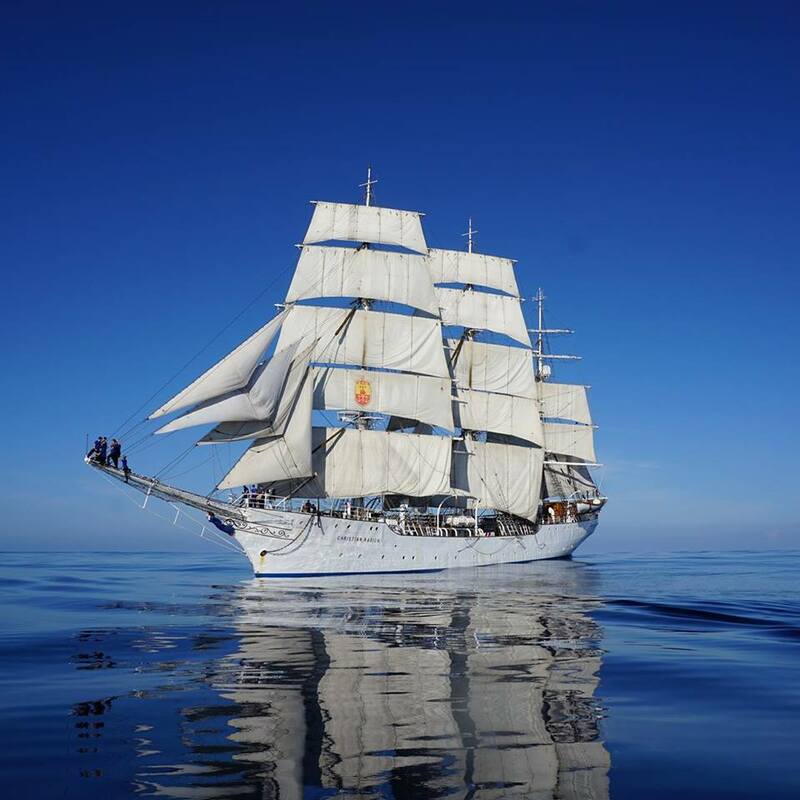 It is impressive to think that the ship has 9000 m. Rope, and a total of 27 sails. The main mast is over 37m. It is a great experience to be aboard the historic and beautiful ship. The price includes fjord tour with the shrimp buffet and quiz. Drinks are bought on board. On fjord tours Christian Radich goes for motorbike, but you can sense some of the greatness. It is impressive to think that the ship has 9000 m. Rope, and a total of 27 sails. The main mast is over 37m. It is a great experience to be aboard the historic and beautiful ship. We Låve Rock Festival 2019. For the 6th time we are taking foreign and Norwegian bands to Hurum. New venue and room for 100 more people will make this festival to be one of the best Prog Rock Festivals in Norway. Fill up the barn and let us have a party. May 30-2. June 2019 we take you to the Middle Ages - when Tønsberg houses the Kingdom's power center. Experience a sizzling market, skilled craftsmen, activities for children and adults, knights, music, theater and much more! And not least: This year's festival has FREE entry. Slottsfjellmuseet will also have free entrance during the festival with exciting communication. Here, the annual Sagafestivalen will also be held with visits by authors and exciting lectures. Mio, my Mio is a magnificent and beautiful tale that raises thoughts about life and death, the good and the evil, and the power of love. Bo Vilhelm Olson lives with foster parents who think it was an accident to get him in the house. One day he sits alone on a bench, something strange happens and he is led to the land in the distance. There his father waits for the king, who has longed for him since he was born. He's not called Bo, he's called Mio and is a prince, and he's so nice, so nice to his father the king. What Mio does not know is that his fate has been determined for thousands of years, and now the journey awaits the Land Out and the battle against Knight Kato. Mio, my Mio is an adventure of belonging and imagination. It is a tale of lack and loneliness, friendship and evil, and the strong bond between children and parents. Welcome to Ullevaal Stadium and Norway's third European Championship qualifying match on Friday, June 7th at. 20.45! Last time Norway met Romania was in 2003 and then it ended 1-1. On the last 11 settlements against the Romans, Norway stands with two victories, five draws and four losses. Meet and support our best men in the battle for three key points! PiPfest, which has taken place at the Vigeland Museum at Frogner, has consolidated its position with forward-looking bookings, delicious atmosphere, art, food and a pleasant atmosphere. Now we look forward to creating the PiPfest atmosphere for even more people. Thursday, June 13 - Saturday June 15, 2019, we open the gates to PiPfest 2019 in the Sofienberg park. Kiosk, food, beer / wine. Access / public transport Follow the E18 towards Stocholm. On arrival Ørje: follow the signs (2 min) towards the Canal Museum. Handicap places are available on tel. 22828197. Adapted entrance at the top of the amphitheater, sign. Hankø Race Week was established in 1882 and has over 135 years developed as the greatest one design event in Norway. The Royal Norwegian Yacht Club (KNS) is together with GRUNDIG, Fredrikstad Sailing Association and Hankø Yacht Club, aiming to bring this historical event to a new level. We look forward to seeing you at some spectacular racing at Hankø in 2019! We light the rockets and offer musical experiences in the highest class. This year's vocalists Nordic Tenors and Sol Heilo, together with the conference host Thomas Numme and Royal Norwegian Marines Music Band, form the offensive force during the two-hour concert towards the fireworks at midnight. It's just fun! The firework concert is held in 2019 for the 28th time and is thus Vestfold's longest-living outdoor concert. The fun takes place at beautiful Vollen at Karljohansvern in Horten and is a collaboration between Marinemusikken and Horten municipality. And should you be in doubt: The atmosphere becomes evocative, the experience spectacular. The doors and restaurant tent open at. 18:00. There will be sales of drinks and exquisite barbecue. Bring your chair or carpet with you and see where you want. Taken drinks are not allowed. Children under the age of 12 come in free of charge with the adult. Oslo Sommertid is a summer festival based in the heart of Oslo. It hosts Norways largest capacity and arranged by one of Norways largest promotion company – Atomic Soul / Friction AS. The Cadet Music Festival invites you to a beach festival at Kadettangen - 2nd and 3rd July 2019! Gatebil at Rudskogen in July is the year's biggest Gatebil-festival that every year draws 40.000 visitors from around the world. Sign up at the event and get the latest info that very first will be shared here on Facebook. Strömstadfestivalen is a multi-genre music festival in Strömstad, Sweden. On the backs of a successful second edition last year, the festival is stepping it up even more for round two. With a lineup featuring fan favourites from Sweden and Norway, Strömstadfestivalen is two days of partying like only the Swedes and Norwegians can. Taking over the scenic town, the festival is set right on the banks of the ocean, boasting stunning views to go along with an inclusive atmosphere. Still Need Tickets? Visit https://www.concerttour.us/concert-tour-dates/pink-tour-dates/ right now! Join the 37th edition of Oslo's big Triathlon party! 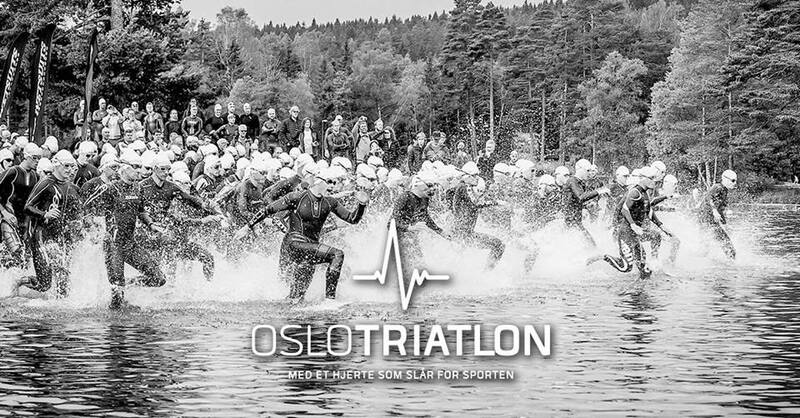 Oslo Triathlon is a triathlon with something for everyone! With us, all ages and levels are represented, so whether you are completely fresh or experienced triathlete will not feel alone. Olympic, Sprint and SuperSprint distances, youth aquatons and child triathlon activity for the little ones. Oslo Jazz Festival Oslo Jazz Festival is a non-profit foundation which, in week 33 every year, organizes a week long festival with 70 - 90 concerts at 15-18 venues in the center of Oslo. We cover all styles of jazz, and since the start in 1986 we have established ourselves as one of Norway's largest jazz festivals. OJF has evolved to become a modern festival that takes both the music and the city on the pulse and which is noticed outside the country's borders. International and Norwegian jazz stars compete each other and offer concerts and club nights where the surprises are in line. "Mightier than that, it won't even be in Verona." We offer food and drink on the island before the performance and during the break. We collaborate with several boat companies on transport to Oscarsborg. MS Oscarsborg 2 return trip Sudbrygga in Drøbak to Oscarsborg this is included in the opera ticket. Boat departing from Langkaia 1 show DNO & B in Oslo. Dinner, snacks and drinks on board! MS Rigmor spends from Kadettangen 18B in Sandvika. Here, the ticket includes welcome drinks, finger food buffet and night food. The performance lasts for three hours including a break, and is sung in Italian with Norwegian subtitles. 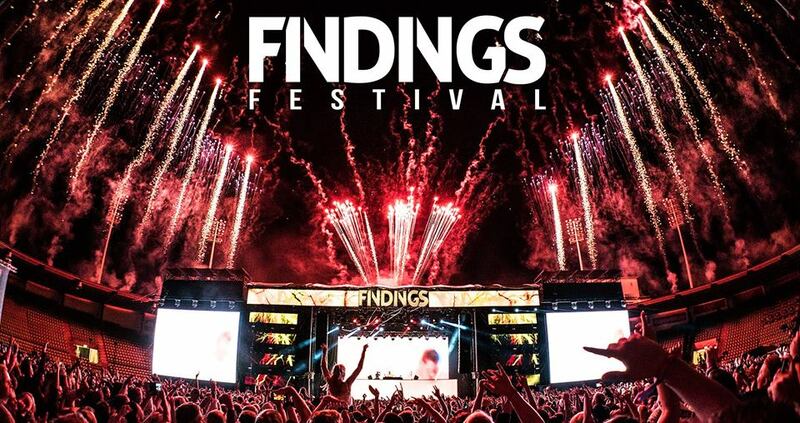 Bli med på den feteste sommeravslutningen, når Findings Festival inviterer til fest på Bislett Stadion - 16. og 17. august 2019! Vi tar forbehold om endringer i programmet. Kjøpte billetter vil kun refunderes dersom arrangementet i sin helhet avlyses, ikke dersom kun ett eller flere av bandene avlyser sin opptreden. Sommerøya open air festival celebrates 10 years of club music, love, rain, dance, community, sunsets, art, passion and the colors of Sommerøya and our guests! For the third year in a row, we invite you to a magical concert experience at Oslo's most unique concert venue, and this time, the whole of Norway's KORK has itself with Di Derre on stage. Experience Di Derre classics such as "Girls", "Rumba Med Gunn" and "Børs Cafè" in brand new packaging with Norway's foremost orchestra. Tickets on sale at Ticketmaster. For the 7th year we organize a festival on idyllic Hvalstrand outside Asker. Oslo's new urban festival is ready! TICKETS: Here 👉 bit.ly/Havna0150 tickets TICKETS AND TICKETS FOR BANDS Be smart and save time. Change ticket to ties without SALT (Langkaia 1, 0150 Oslo) during these opening hours: Thursday: 14-22 Friday: 12-22 pm: 11 am - 10 pm In the meeting between city and water, on SALT in Oslo, the 24th and August 25, we are washing up with beats and waves. This exotic festival area by the harbor area will give the audience a unique and intimate setting, in the middle of Oslo's urban high-rise building. Join us on a fantastic summer concert with Asle Beck, full band, chorister and friends at Vulkan Arena August 31, 2019! The popular beloved artist Asle Beck is currently selling concerts throughout Norway, and with her personal and honest lyrics and catchy tunes, has become one of our most popular show and show pop artists over the past ten years. Since the breakthrough in 2008, with the album "Thoughts from yesterday", Asle Beck has become a very popular and sought-after artist. He is among other things known for radio bearings as "Skur 55", "Warm Winner" and "Grünerløkka" and has given the Norwegian people wonderful pop songs with Norwegian texts. Plate number two, "Went so quiet past" received brilliant reviews, just like plate number three. Last year he released "Bruvoll Hotell", and there is no doubt that Asle Beck has got a big place in Norwegians' hearts with their genuine and honest texts about life, love and nature. There is great reason to enjoy the concert at the Vulkan Arena in August next year: Asle Beck will release a new single and perform completely new songs for the audience. Here's just to secure your tickets as fast as you can. Earlier in September, he sold out a packed Park Theater. Tønsberg Viking Festival is held annually in September. Then there will be Viking activities, Vikings and Viking offers throughout the city! place with a rich literary history. Both in Amalie Skram's short story "Karens Jul"
5 available free tickets - first person first come, first served. Oktoberfest is a day party with a great atmosphere from the doors open - come early to see the fun. The Tyrolean Orchestra plays up a hit after the hit. You and your friends are shoulder to shoulder. And you swing the saddle. Every day in Life's tent Ronald Schnipfelgrüber plays Tyrolerkapelle + Kenny Herzlich & dj Stimmung Schwung aus Bayern. If you wish to reserve a table, you can choose between tables for 4 or 10 people. It is also possible to pre-order food board to the table. Prepare your Dirndl / Lederhosen, invite your best friends and get ready for the Oktoberfest. Friday 11 Oct: 15.00, free entrance before 17.00. Saturday Oct. 12: 12.00, free entrance before 15.00. Thursday October 17: 15.00, free entrance before 19:00. Friday 18 Oct: 15.00, free entrance before 17.00. Saturday 19th October: 12:00, free entrance before 15.00. ID 20 years. 18 on Thursday 17th. Every night at midnight there comes a greatness from the 90s on stage to round off the party with a bang. Artists are released in the spring. The band also got the Gammleng Prize in the pop class in 1994. The band has also been nominated for the Spellemann Prize in the rock class four times: in 1987 it was fun with snow, in 1989 for the Brain is alone, in 1997 for Stakkar and 2000 for Throw all the papers as well as in the class pop group in 2010 for the Brain is alone in the Opera. In addition, they have been nominated for this year's Game Maker in 1994, this year's song for "Taste of Honey" in 1995 and the time's Norwegian hit for "Next Summer" in 2001. Lars Lillo-Stenberg participated in Every time we meet in 2014. The same autumn, deLillos published the album Straight and simply the life of brilliant reviews. The album was ranked 1st on the iTunes and VG album list after its release. In 2015, deLillos celebrated 30 anniversary as a record artist this year with concerts across the country and concluded with a 10-day concert in Oslo where they performed just as well all their 240 released songs live. Since the summer of 2016, the band has released three albums. "Bearing the sailing" and "Let's get rid of all nostalgia" and "Hover over the city with the Broadcasting Orchestra" all of which have been received with brilliant reviews. DeLillos was formed in Oslo in 1984. The group is considered one of the most significant in Norwegian music life from the 1980s until today. Together with Raga Rockers, DumDum Boys and Jokke & Valentinerne, deLillos is referred to as one of the four major Norwegian rock groups. DeLillos has for 30 years been one of the country's most important pop and rock bands, and they have regularly delivered quality both textually, musically and creatively. They have been uncompromising in their expression and believe their universe, while they have challenged the creative both in terms of format and content. The band has won the Spellemann Prize twice: for the next summer they received the Spellemann Prize in 1993 in the class rock and for Late and Early, they received the Spellemann Prize 1995 in the class group. Take friends and family with you and become part of the cheering folk sea in Holmenkollen! In March 2019, the biathlon circus returns to Kollen. In the middle of March, Holmenkollen Ski Festival invites you to an unforgettable biathlon party where it will be celebrated that the heroes are back in Kollen! We offer sprint, hunting start and common start, guaranteeing high voltage and high pulse. Join the fun you too! Voltage is measured in millimeters! Biathlon is the sport where the turning points are in line! The millimeters decide, the penalties are relentless and the audience holds their breath while the athletes! This year we are inviting for sprinting, hunting start and joint start. Welcome to the biathlon party in Holmenkollen 21 - 24 March 2019! Children under the age of 12 come free with the adult. Complete film program can be found on the program site from March 6th. You can follow Arab Film Day on Facebook and sign up for this years festivalevent to stay updated on festival news about this year’s films, guests and events towards the festival. Vika Kino has an 18-year age limit due to the liquor license. Children between the ages of 15 and 18 will only be admitted accompanied by an adult. Tickets can be bought at Vika kino and at www.nfkino.no from March 6th. Student ID must be presented when you purchase the Full Festival Ticket with a student discount. Full Festival Ticket students can only be purchased at Vika Kino from March 6th. Full festival ticket can also be purchased at Vika Kino from March 6th. If you buy the Full Festival Ticket online it will be sent to you as a PDF-file on mail. It is very important that you keep the PDF-file until the end of the festival. The Full Festival Ticket gives admission for one person per screening, including the opening film. You have to collect or book tickets with the Full Festival Ticket to the screenings you want to see, and does not automatically give entrance to screenings. Screenings may be sold out. The Full Festival Ticket is personal, and it is not possible to collect more than one ticket per screening. Misuse of the Full Festival Ticket will lead to confiscation of the Full Festival Ticket. Tickets must be withdrawn at the ticket counters at Vika Kino or at www.nfkino.no. If you book tickets online you will receive the tickets on SMS or e-mail. The Full Festival Ticket must be presented when you are collecting tickets at Vika. Find the movie you want to see at www.nfkino.no. Choose "AFD festivalpass" and enter your AFD code from the Full Festival Ticket. Enter your phone-number, name and email. You will receive an SMS with a link to a mobile ticket for the screening. You must show the QR-code on the ticket upon entrance to the screening. With the Full Festival Ticket, you can collect tickets for all the screenings you wish to attend all at once. Vika kino will provide a register for those who want to collect tickets with their Full Festival Ticket. NB! No commercials. All screenings start on time! All films that are screened during Arab Film Days has an age limit. The age limit will be specified in the information about the films in the festival magazin and on our programsite online. Adults can bring children down to three years younger than the age limit. The exception is the 18-year limit, which is absolute. You can find more information about age-limits in general at medietilsynet.no. Information about which language the subtitles are is specified in the information about the films in the the festival magazin and on or program site online. Arab Film Days reserves the right to change the program during the festival. Possible changes will be announced at our screening locations, on the website and on facebook. You will find the Arab Film Days information stand at Vika Kino during the festival. There you will meet our volunteers who happily will help you to choose between this years films and answer your questions about the festival. The tradition of faith marks the Sea for All the start of the Norwegian boat season. But we have infinitely more to offer than just boats: If you want inspiration, listen to exciting speakers or take a boat driver course over the weekend, you can. And if you want to buy the latest in technological innovations, boat interiors and need ropes, bolts and fenders, our exhibitors naturally have it as well. The Sea for All embraces everything you can imagine in the world of boats. So take a day or two off, take the tour and enjoy the vast array of experiences, activities and products our exhibitors offer. Welcome to the Big Boat Fair 2019! The largest boat center in the Nordic region invites you to a boat show in Leangbukta 16. - 24. March! At Leangbukta Maritime Center we find several maritime operators and a large selection of boats from 14 to 50 feet - both sailboats and motor boats. The exhibition halls are packed with new 2019 models that we are looking forward to showcase! Here you will see a wide range of models from well-known market leaders such as AMT, Bavaria, Beneteau, Coaster, Draco, Dufour, Explorer, Hydrolift, Linssen, Marex, Nimbus, North Cape, OceanMaster, Paragon, Quicksilver, Rhea, Saga, SeaRay, Quicksilver, Rhea, Saga, SeaRay, Silver, Windy and more. Hekla Stålstrenga "Love and Honor Tour 2019"
In February, Hekla Stålstrenga comes with his 7th album. Plata has been titled "Love and Honor" and in this connection they celebrate record release and have a tour start here at the Riksscenen before continuing on the launch tour across the country. With his feet securely anchored in Northern Norwegian traditional music, Hekla Stålstrenga serves warm singing, happy children's rhyme, rough riffs and the sadest ballads. The band is known for its distinctive mix of folk music, shows and pops and has gradually gained several songs that have entered the Norwegian fishing canon. Songs that you have the lighthouse, the folk tones, the show of winter paintings and the last song is music many have a relationship with. So now the band comes with new music and already the singles from the album have made themselves noticed by getting much playing time on NRK P1. The title "Love and Honor" is one of the songs on record, written by Ragnhild Furebotten. Furbotten has, as usual, been behind many of the tunes to the band. New for this album is that both Furebotten, Nymo, Trulsen and Bruvoll deliver, not just the melodies - but also their own lyrics. In addition, Ola Bremnes, Helge Stangnes, Malvin Skulbru, Geir Vildgren and Ronny Trælvik have provided texts for the record. It is with great pleasure that we welcome Hekla Stålstrenga back to the National Stage! Here is the competition program* for FIS World Cup Nordic in Holmenkollen March 8 – 10th 2019. Therese Johaug, Norway, leads women's 30 km at the 17 km turn in World Ski Championship 2011, Oslo. Photographer: Bjoertvedt. Wikipedia - Creative Commons Attribution-Share Alike 3.0 Unported, 2.5 Generic, 2.0 Generic and 1.0 Generic license. After an voluminous festival summer is Siri Nilsen now ready to enthrall audiences at Litteraturhuset Fredrikstad. Göran Fristorp and Sven-Bertil Taube again ready to take Norway by storm and this time they visit the larger culture houses to warm up winter tired Norwegians. Here you get familiar songs in acoustic versions and good pirate stories from countless years on the road.